Niki Harry reflects on the trip of a lifetime. Delicious surprises and amazing people to top off a successful summit – not a bad way to celebrate a birthday! 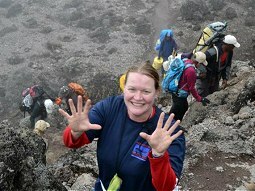 On the one year anniversary of her Kilimanjaro summit, Stacey Bieren reflects on the similarities between climbing a mountain and competing in the Special Olympics. The Lyons family expresses their gratitude to Tusker Trail. Tusker Guides left a mighty impression by saving a lost, unconscious child, then rescuing an immobile climber. Two times to Uhuru just wasn’t enough – Tanzania is calling him back. 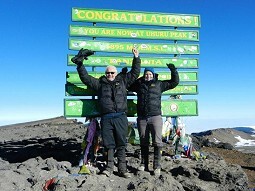 Mark Smith plans a grand farewell to Kilimanjaro via Tusker’s Kili 360 Route. 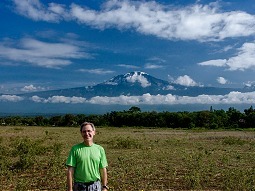 A lost, unconscious child on the slopes of Kilimanjaro. A distressed hiker with a broken leg. Tusker guides to the rescue. 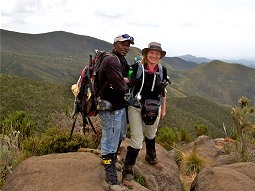 In a letter to their trekking coordinator, Haley Brunello, Duane Lyons expresses his gratitude to the Tusker family.